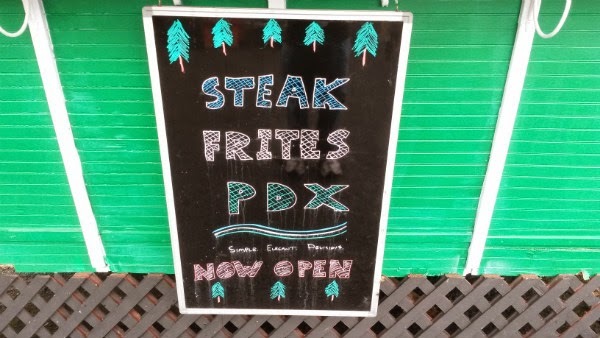 Steak Frites PDX is located at the SE 28th and Ankeny pod in Portland, Oregon. 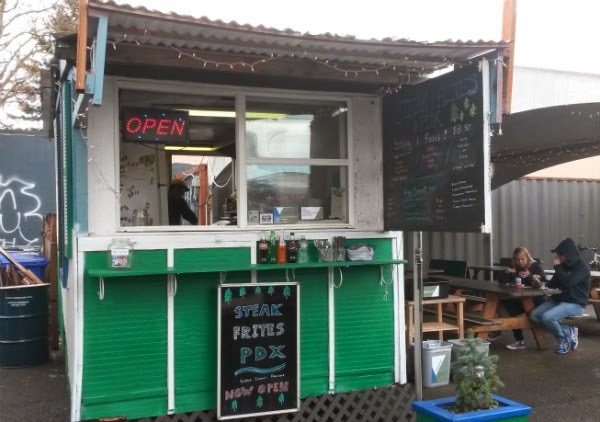 Sean opened this food cart over a month ago, first catching the eye of fellow bloggers Steven Shomler and Brett Burmeister. 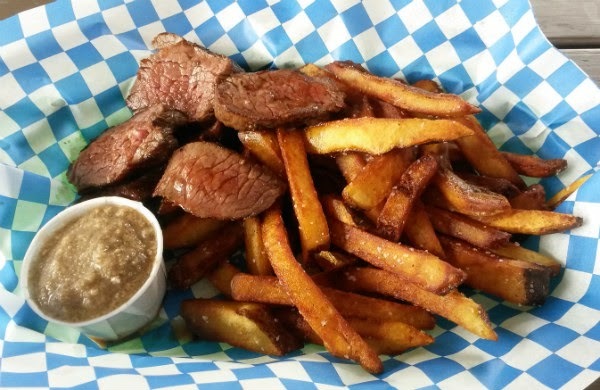 At this cart, it's all about steak and frites (French fries). 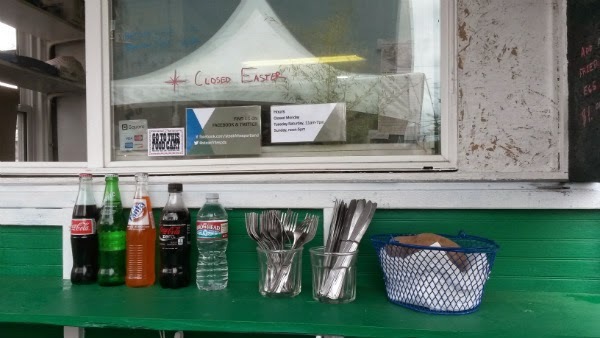 You can also get some vegetarian side dishes here. 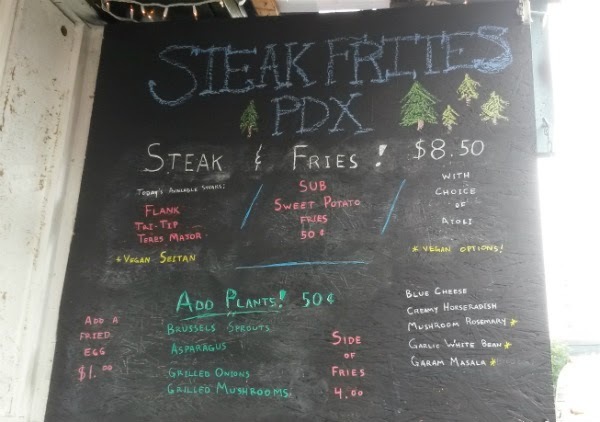 For $8.50, you get steak, fries (sweet potato fries are 50 cents extra), and choice of one sauce/aioli. Vegetarians can get seitan, and there are also some vegetarian side dishes like brussels sprouts, asparagus, grilled onions, and grilled mushrooms. Add a fried egg to all this for $1 more. 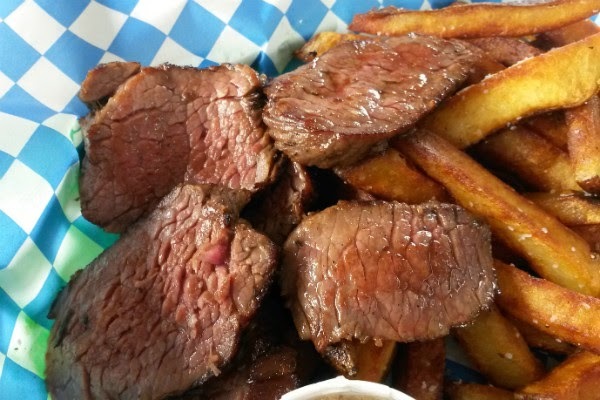 Sean recommended the teres major, a shoulder cut. 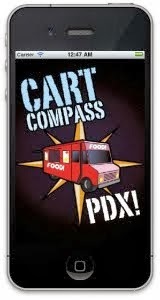 Holy panda balls, this was an excellent choice. The steak was seasoned and cooked perfectly. Extremely tender and juicy. 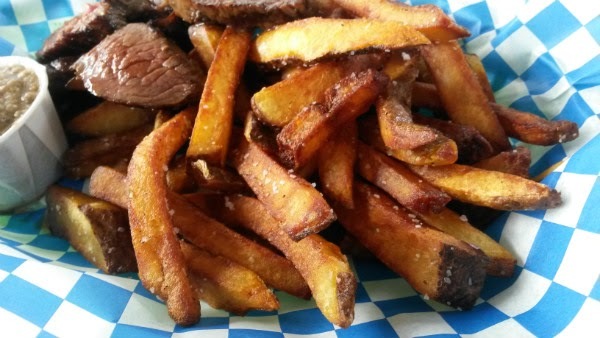 The fries are also top-notch, some of the best I've had. Crisped up golden brown, hit with a bunch of salt at the end. I opted for the mushroom-rosemary aioli, and the rosemary flavor really pops here. Another aioli I'd suggest would be creamy horseradish.